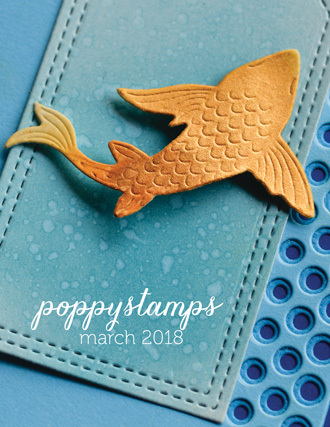 I really love the Poppy diecuts and stamps!!!!! Are you happy (like me) with the new release? Ok, this is for 'traditional' colors girlies jijiji Look!!!!!!! I'n in love with "Forest Stag"!!! I cut him with corrugated cardboard, and after, with gold paint, I gave him some brush strokes!!! Did you see my beautiful phrase???? Perfect stamped!!!! I say again: I love my "Forest Stag"!!!! Just gorgeous and with a lot of enhancement! With "Triple Stitch Window", I make a shadow and I put some beads!!!!! Beautiful thing! I appreciate your messages and I read them with love !!!!! Thanks, thanks!!!!! I'm not sure how many of you set your holiday table with place cards but my mom and grandmom ALWAYS had place cards! Hopefully it's not another tradition falling by the wayside. I still use place cards; because I know not to have my Aunt sit next to a certain cousin...not going there!!! 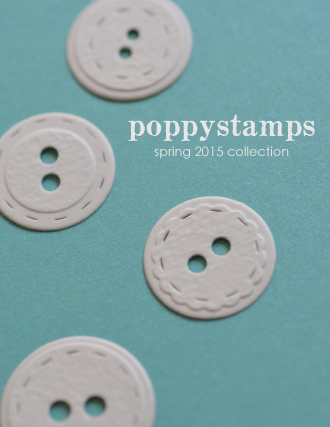 I made these super simple place cards using Poppystamps Double Stitch Tags, Tree Line Hill die and Memory Box Open Studio Pinpoint Scalloped Circles! 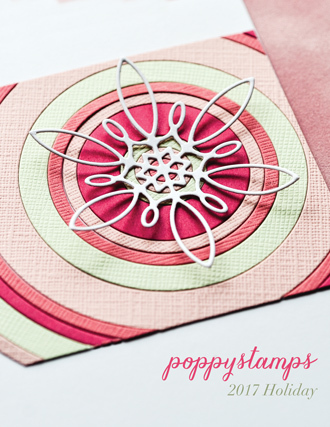 I cut two, of the Pinpoint Scalloped Circles, from white card stock to create the base of my place card. The little piercings around the edge are so pretty! I added a little snow to the Tree Line Hill die cut using Simply White Nuvo Crystal Drops; just needed a little something. 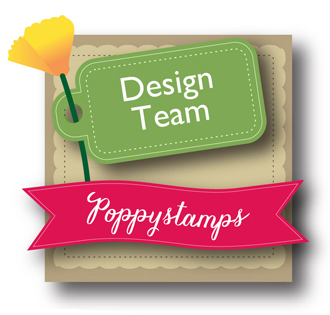 I used the smallest of the Double Stitch Tags dies to create the name tag that slips behind the trees! I added the name using a thick white gel pen! Here's a side view to show you how the place card stands up; you could even put a few chocolates inside!! 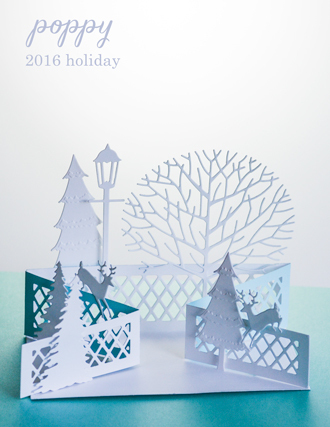 The following video shows how to assemble the Holiday Place Card!! 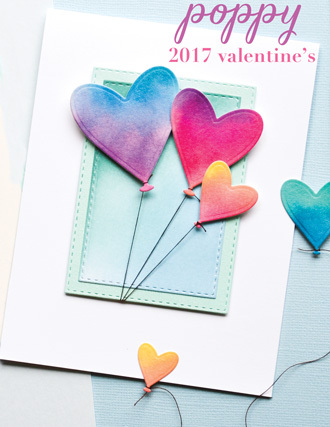 I hope you give this simple project a try; I think it would look great using kraft card stock as the background for a more rustic feel!! 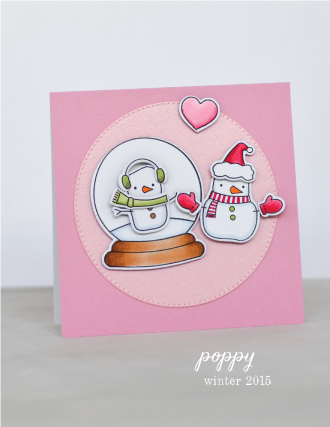 Thanks for stopping by and check out the Poppystamps Blog for more holiday project ideas! All combined with golden paper!!!! It's so elegant!!!!!! I like Deco Cecil Frame!!!! 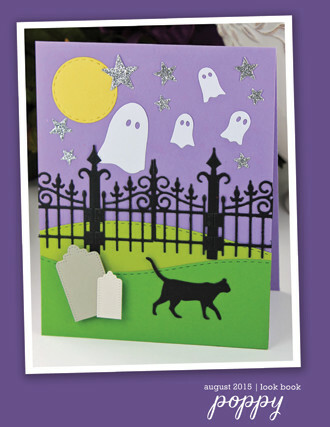 I absolutely love this card, did you see that everything shines??? My background is a rectangle of glitter foam!!!! 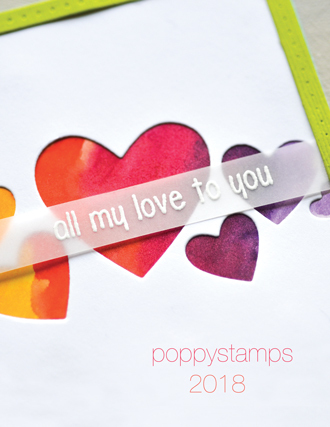 Have you seen the new Poppy stamps and diecuts??? I show you in this video, the newest of Poppy!!!! We are so happy you dropped by for a visit today for a Tropical twist on the traditional poinsettia! 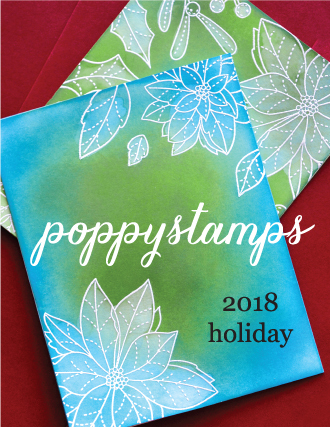 I used one of my very favorite dies from our Poppystamps holiday release, Mod Poinsettias, and shook up the colors a little bit of a colorful splash! 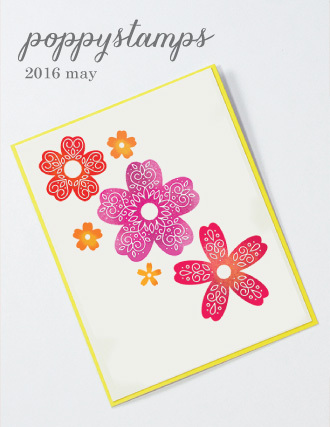 I love the bright combination of the pinkish background, the blue poinsettia petals, and the green leaves! Creating this look is a lot of fun too! The background panel was created using oxide inks in shades of pinks and purples, and then splashed with little drips of water. 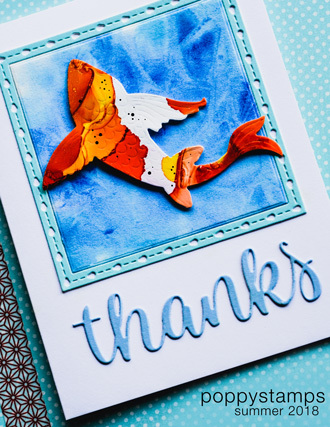 The oxide inks react to the water, and form light and bright patches of color that make any card unique. Then I cut out all the parts of the Mod Poinsettia pieces in blue and green. I splattered white water-color paint on all the pieces and let it all dry. 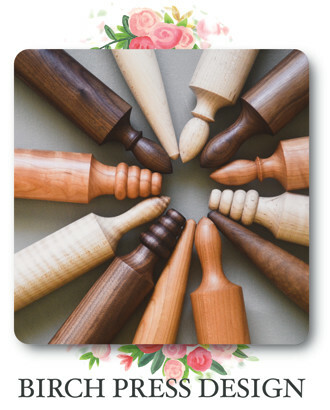 When assembling your flowers, you can have them lie flat and smooth, or you could try this fun technique. I like to take a pencil and gently curl the leaves downward, then glue the flowers together. 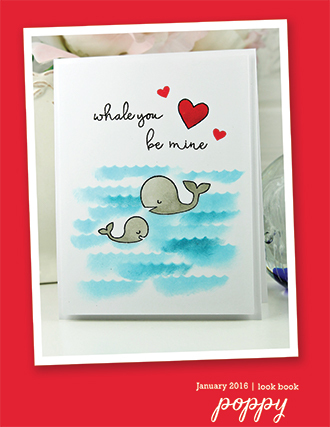 You can make them as curly as you like, or flatten them out just a bit when gluing them on to your card base. 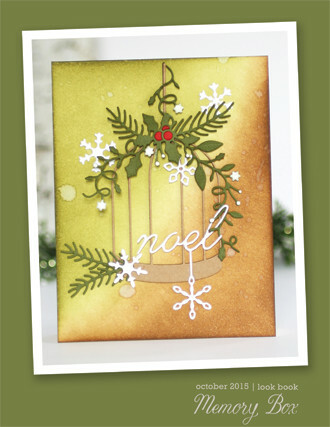 Add a few leaves and sequins, and you have a tropical twist on the familiar red leaves of the poinsettia! I hope you're having a great day! I'm guessing everybody did a little shopping over the weekend. I don't want to be an enabler.. but I know you don't want to miss these two sales that end today! 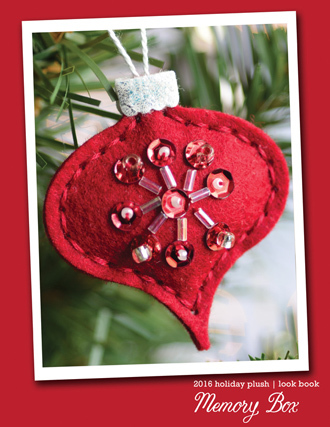 Today I'm sharing this holiday card that uses several different techniques. I started with a distress ink background. I really like using a stencil brush like this one from Clarity to ink up paper - especially when you want a fade to white along the edges. I love the "no streak" look and have a brush for every color family (reds, greens, blues, yellows, etc.). 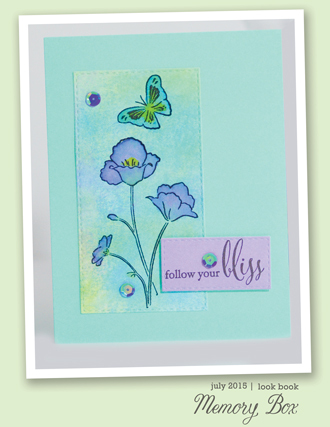 The base card panel was inked with Shaded Lilac, Tumbled Glass, and Twisted Citron. I splattered the panel with water, some watered down tumbled glass, an some white ink (Dr. Ph. Martins Bleed Proof White). 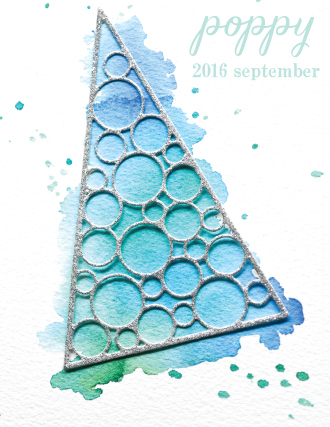 Next I cut the Woven Circle Ring die from the distress inked panel. 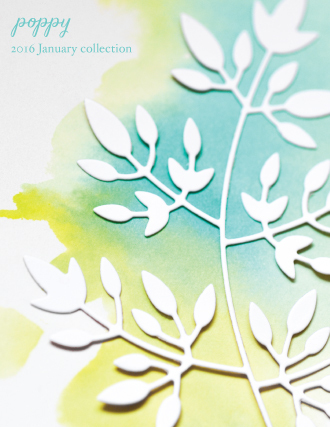 (I think I'm going to save that cut out for another project because it's so pretty!) I attached a panel of light yellow card stock to the back of the panel so it peeks through the die cut circle. I cut the Woven Circle Ring a second time from bold yellow card stock and adhered it inside the negative space. 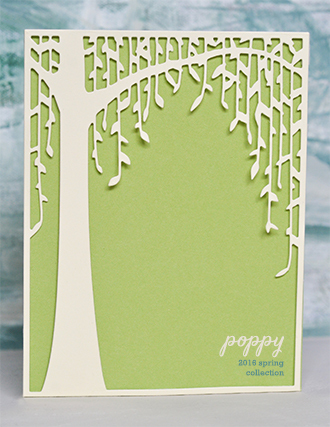 The Holly Twig die is cut from white card stock and colored with Copic Markers. 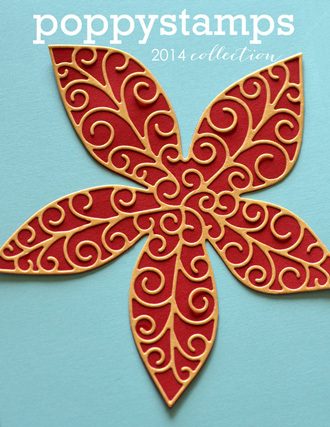 I die cut the Pinpoint Ornaments from two shades of card stock and assembled them. I added jewels as accents for some sparkle and shine. A Little Hummingbird is hanging over the Joy Outline die ready to land on the colored Holly Twig! It was fun to mix different techniques together when making this card. 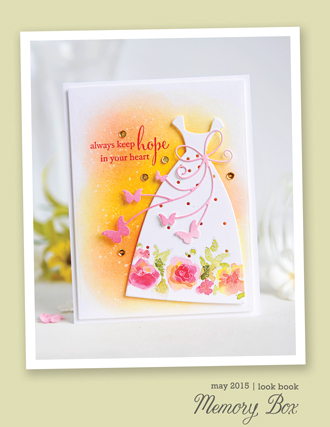 I love the crisp look of the inlaid die, the colorful colored die cut, and the distress ink background! I hope you find some time to create today! Well it's official, the Holidays are here, whether we are ready for them or not!! 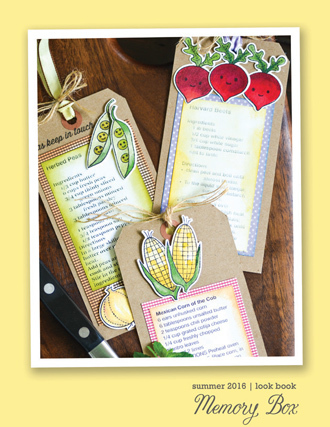 My super easy shaker tag is great for those last minute, I need a gift now situations!! I'm using the Double Stitch Tags set to create my gift card holder, which could double as a card base; you need to watch my video to see how the inside is put together!! 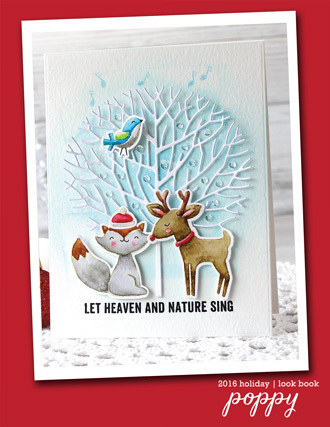 My sentiment, from the Christmas Time stamp set, is inside and holds the gift card!! 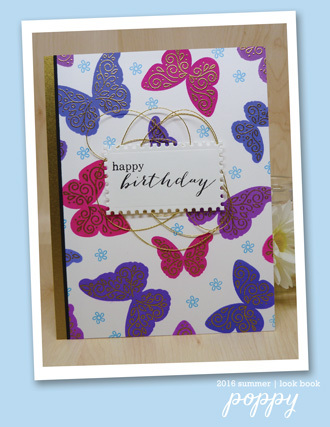 The following video will show you just how easy this tag card is to make AND it fits into an A2 envelope! Hello everyone Pam here today. 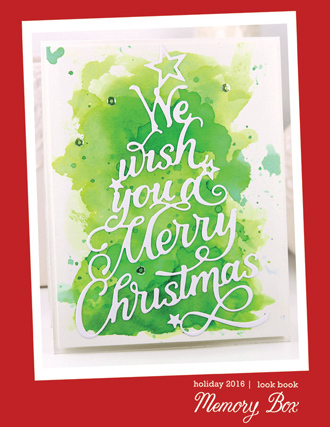 Traditional festive colours for this Christmas card. 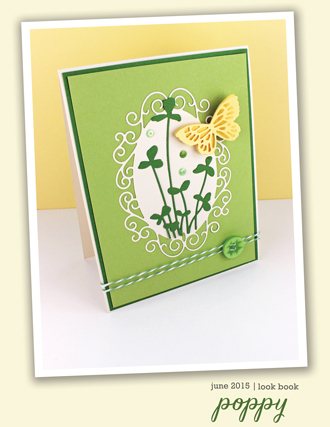 main colour Ivory..finished card size 7"x 7". 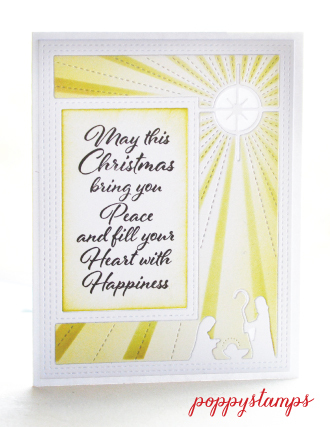 I started by stamping and heat embossing in gold this lovely sentiment from Poppystamp dies, "Christmas Time" love the fonts used. 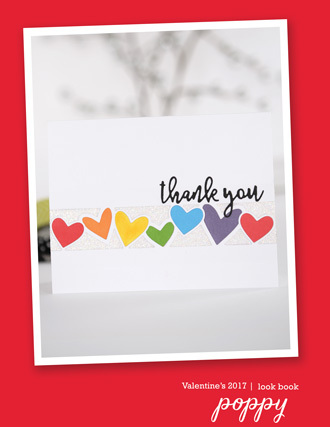 Red glitter card.. 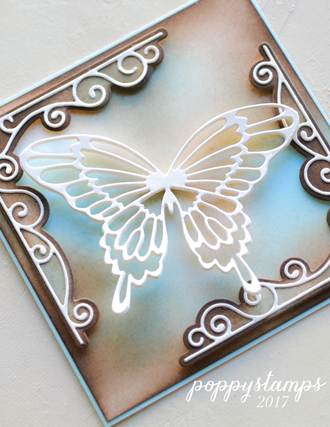 I have used both these dies together, largest size of the Pointed Square Frames and Deco Victor square. 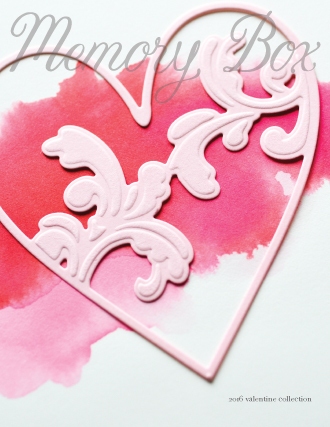 Lovely fit to create a larger square card..Plus from the Deco Victor Square, you get lovely corners tiny diamonds to decorate your cards! so make sure you keep for future use. 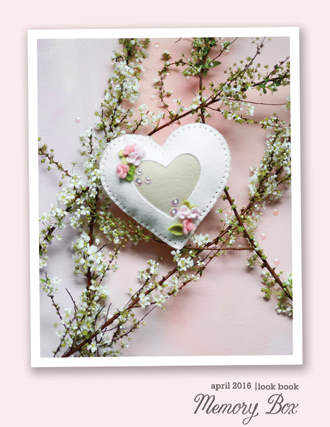 6"x 6" ivory card square ..adhere ribbon across the centre..Next adhere to a red card square touch larger. I have offset the topper to the left edge..as I want a bow and decoration on the right side. 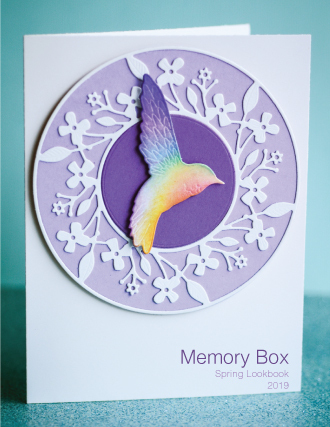 Finished card ready to decorate 7"x 7". Dark green card cut with Poppystamps "Perfect Pine Needles" die, beads in red/orange with my tartan bow, few pearls to finish..Three gold corners I saved from cutting "Deco Victor Frame"
How easy is this Christmas card! hope you`ll have a goat making one..
Brrr... it's getting cold outside! The last of the leaves are falling and there's barely a bee to be found. That's certainly the way it is for us in the UK anyway. 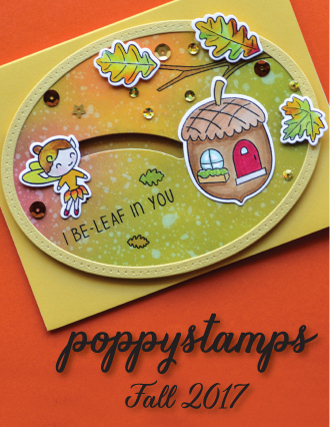 And as I'm not ready to face Winter just yet I've made a card that celebrates the colours of Autumn instead. With all of the richness of the warm browns, oranges and reds... A stark contrast to the icy white blanket of Winter. 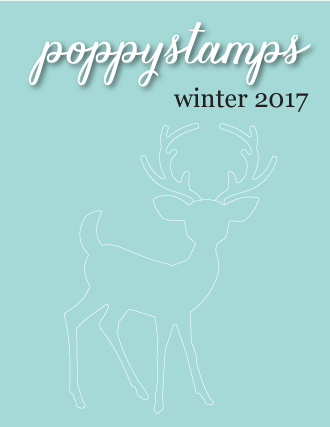 I've started off by using the Forest Stag left over from my previous post. 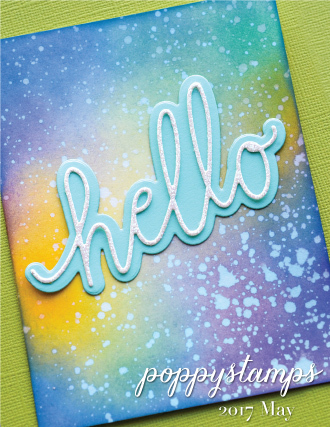 To get that speckled, textured look I've added Crackle Accents. 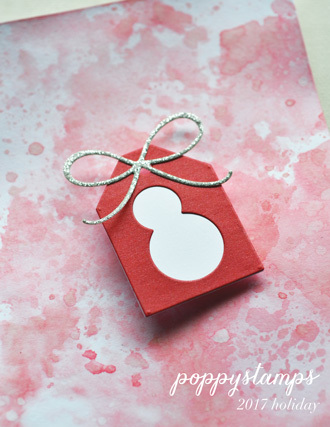 Simply dot on, leave for a few minutes to react with the Distress Stain and then use a paint brush to smooth all over. If you didn't add enough Crackle Accents, don't worry. You can add more. Just be quick with that paint brush unless you are wanting more speckles. I've used Brusho's to colour my leaves. You'll only need two, but I've made extra so I can choose which I prefer. The card base has the subtlest of designs on it. 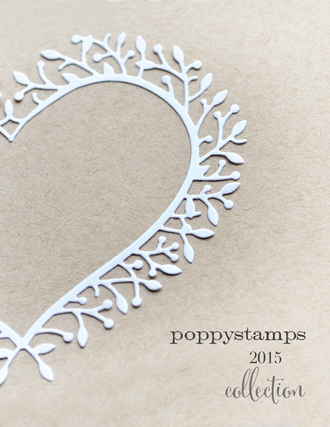 Here I've used the Dot Grid stencil by Memory Box, with just a touch of Stormy Sky and Hickory Smoke ink. To add more visual interest without adding more colour I've used one of the frames from the Art Deco Frames and Phrases die set to cut out an aperture. Don't discard that inner piece as you'll be putting it back in shortly. 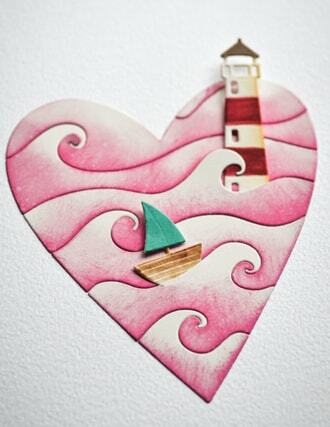 But first, add a layer behind it by gluing on the same shape again. 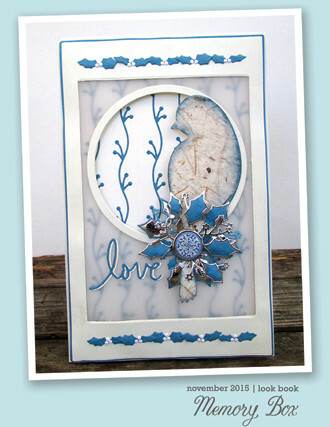 You'll also need a black frame from the Stitchwork Rectangle Frames craft die set. 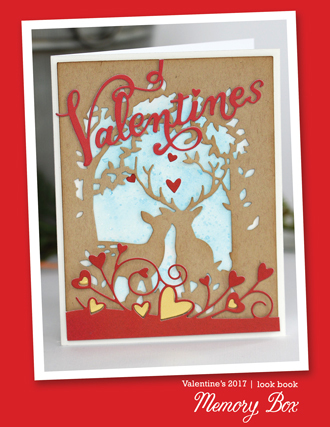 Here's a view of the finished card from below. To assemble, start by putting the aperture piece back. I've simply cut a piece of scrap card to size and glued it behind the card base to hold everything in place. 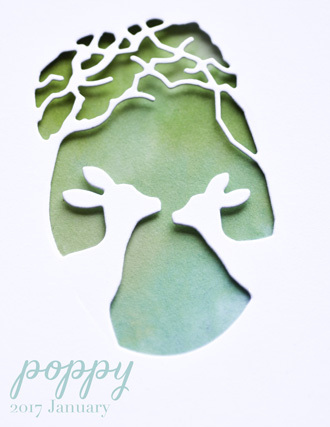 Next add the Forest Stag, gluing two strips of scrap card behind it first. You'll need to add that frame now. I've spot glued it in the middle, just along the left and right hand sides. 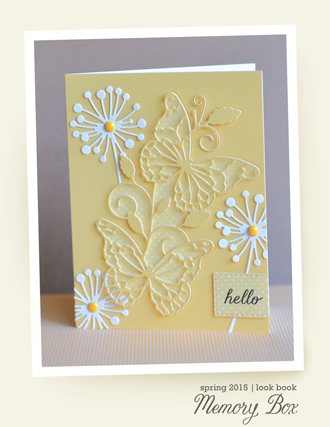 Then add the Brusho leaves, a stamped Hello and bee... and two more leaves cut from the Ragged Daisy. Did you notice that I added Silver Gilding Wax to my Brusho leaves? And if you are celebrating today, a very Happy Thanksgiving to you. Hello, Nadine here today! 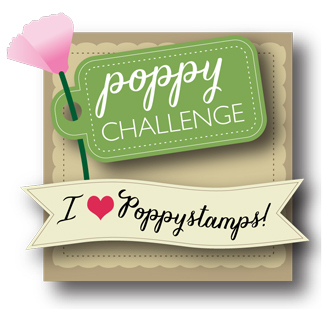 Have you entered the Poppystamps Happy Harvest challenge yet this month? It's not too late, you still have until Nov. 28th to enter. 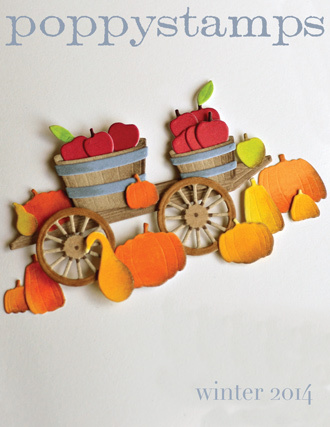 For my inspiration for the challenge, I made an off the edge Autumn shaker card. 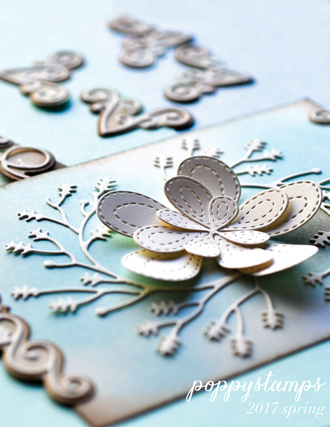 The Give Thanks Brushed die was the perfect sentiment for this card, topped off with some Rinea Foiled Paper. 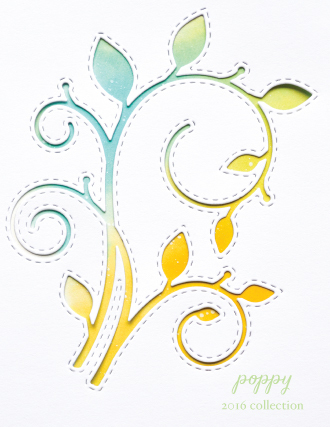 I used the Whittle Maple Leaf and Whittle Oak Leaf dies for shaker windows and created a water brush effect using some ink and metallic color spray for the background.